At 9:18 AM, Assad loyalist forces shell two buildings using helicopter rockects in the Shaar discrict. 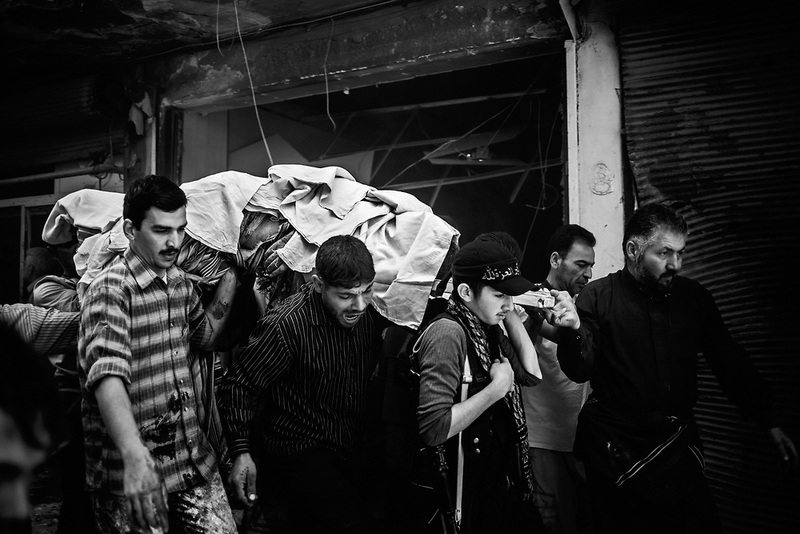 The body of a man who died in the explosion of his shop, taken to a taxi that will transport him to the hospital for the recognition. © 2011-2018 Cesare Quinto. All Rights Reserved.